Ghosts just possibly might be the oldest and most widely believed in of all the traditional Halloween monsters. Almost every culture has stories of ghosts or sightings of spirits. I encourage you to check out the list of belief in ghosts by culture listed on Wikipedia. A ghost is defined as an apparition of a dead person that is believed to appear or become manifest to the living, typically as a nebulous image. The general concept is is based on the idea that a person’s spirit exists separately from his or her body, and may continue to exist after that person dies. Ghosts have been recordered in written history for ages. They are mentioned in early Mesopotamian references, in Biblical references, in early Egyptian history, and so forth. According to the History Channel, in the first century A.D., Pliny the Younger recorded one of the first notable ghost stories in his letters about the specter of an old man with a long beard, rattling chains, was haunting his house in Athens. Centuries later, in 856 A.D., the first poltergeist–a ghost that causes physical disturbances such as loud noises or objects falling or being thrown around–was reported at a farmhouse in Germany. The poltergeist tormented the family living there by throwing stones and starting fires, among other things. In classical literature, ghosts appear in Homer’s The Odyssey. They appear in Shakespearean plays like Hamlet. One of our most beloved Christmas stories–Dickens’s A Christmas Carol employees three famous ghosts. Not to mention the Headless Horsemen in Sleepy Hollow. They appear as well in more modern stories. Think about Lord of the Rings, The Shining, and even Harry Potter. Most traditional Halloween monsters were created as costumes out of fear. 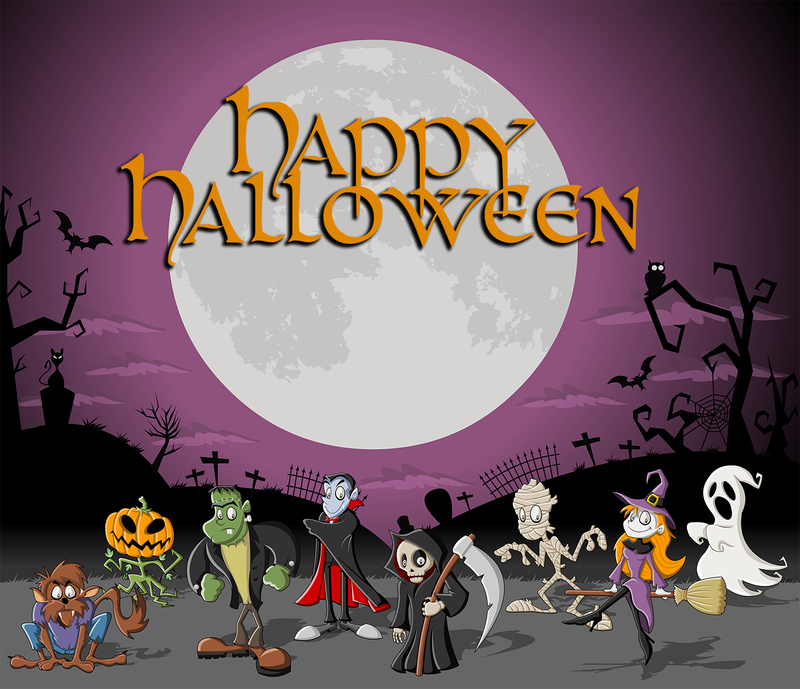 Part of the history of Halloween is a belief that on the night before the new year, the boundary between the worlds of the living and the dead became blurred, and dressing as scary things would keep the dead away (there’s a lot more to this history with various other traditions and evolution over time). As far as ghosts, as one of those traditional Halloween monsters, are concerned, fear of ghosts remains an integral aspect of the modern ghost story, Gothic horror, and other horror fiction dealing with the supernatural. Think about some of the most recent horror films involving specters of some sort–The Ring, The Others, Blair Witch, and a ton more that deal with general paranormal activity. Plus, a ghost is one of the easiest costumers ever. A white sheet, some scissors, and you’re all set. Whether or not you believe in ghosts (which are not scientifically proven, nor have they been disproved), I’d like to wish you a very Happy Halloween! Oh yeah! And you can read my ghost story in A Ghost of a Chance–my short story in the Moon, Mist, & Magic anthology!